“FAQs to Avoid DWIs During the Holidays: Part 3” was published in the Dec. 21 edition of the Greater Wilmington Business Journal. This is the final installment of a three-part series on the legal issues surrounding DWIs. Patrick Mincey, chair of the Criminal Defense Practice Group at Cranfill Sumner & Hartzog LLP, wrote the series as a guest blogger for the holiday season. Patrick is based in the firm’s Wilmington office. To view the article, visit https://www.wilmingtonbiz.com/insights/john__martin/faqs_to_avoid_dwis_during_the_holidays_part_3/1484. 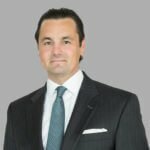 Patrick Mincey is Co-Chair of the firm’s Criminal Defense Practice Group. He practices out of the firm’s Wilmington office.